To learn more about this history, see the NWT & Nunavut Chamber of Mines publication, Mining: Our Northern Legacy which includes information and images from mining’s history which dates back centuries or visit the Yellowknife Historical Society web site which includes a wealth of information about mining’s rich history in the North. Long before explorer Martin Frobisher mined for gold on Baffin Island in 1576, Inuit and Dene peoples discovered local copper made better tools than bone or ivory. In 1770-71, explorer Samuel Hearne, guided by Matonabee, sought copper. Over a 100 years later, the 1898 Klondike Gold rush struck and some sought fame and fortune by exploring into the interior of the NWT. One prospector, E.A Blakeney, had a gold sample assay an astounding 2.158 ounces per ton. Many more would follow, like prospectors Gilbert Labine, who discovered radium and silver at Great Bear Lake, and C.J. 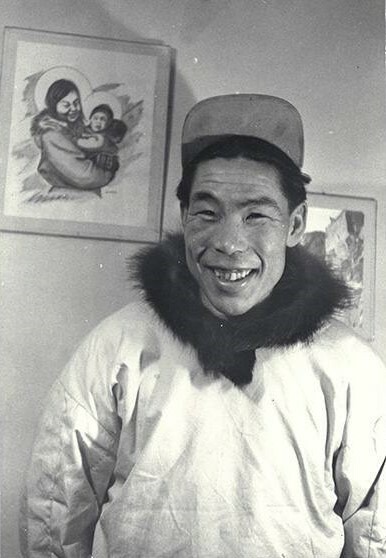 (Johnny) Baker who discovered gold along Yellowknife Bay. Several deposits were found in the decades that followed as mining helped open up the North. Perhaps the most recent and exciting was the discovery of diamonds in 1991 by geologists Chuck Fipke and Stu Blusson. This opened a new era of exploration and mining, with unprecedented benefits and Indigenous participation. Meanwhile, in Nunavut, after falling to zero mineral production in 2010, the industry has re-emerged with gold and iron discoveries brought into production earlier in this decade. One of those mines, Hope Bay, was originally discovered by Inuit prospector Noel Avadluk. As the exploration and mining sector has grown, so too has the NWT & Nunavut Chamber of Mines. The chamber, founded in 1967, advocates for a vibrant and sustainable exploration and mining industry in the NWT and Nunavut which has the support of the peoples of the North. Its mission is to provide leadership on, and advocate for, responsible and sustainable mineral exploration and development in the two territories.